package that is just right for you and your business. From food gifts (with some of our most delicious Waitrose 1 products) to exclusive beauty hampers, stunning flower arrangements and rare wines and spirits, we tailor every order to suit your and your customers, clients' and staff needs and taste. Choose from a large selection of luxury corporate gifts picked by our expert team of buyers. 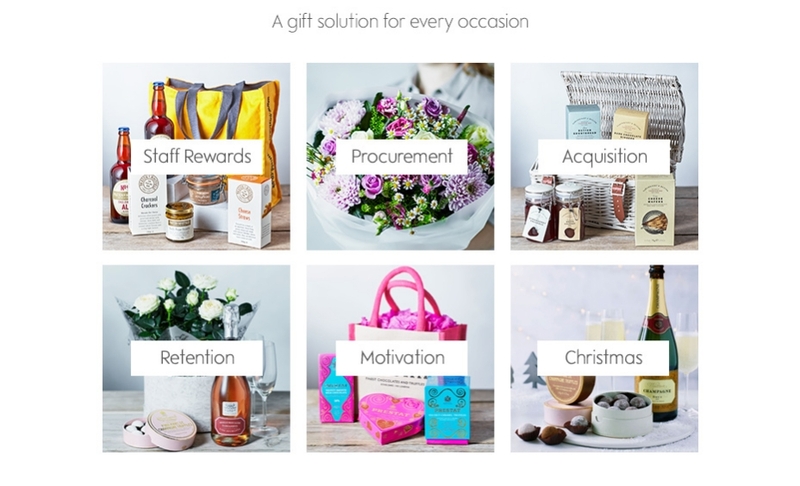 Our team of corporate gifting experts will listen to you and your business needs and tailor gifts, delivery and costs to your budget and requirements. For a bespoke corporate gifting solution just for you. Convenient delivery that suits you and your clients is one of our specialities! We can do large (100+) business gift orders and deliver on the same day to multiple addresses all over the UK. We also deliver your corporate gifts to single locations but to individual recipients. I send various hampers to various different customer addresses and this is usually the most difficult part of the ordering, as other companies just cannot seem to grasp this requirement. With Waitrose it was no problem at all and my orders all arrived on time, with the correct items! Leaving me with very happy clients, which as we all know, is exactly what we need. It's fair to say that the organisation and logistics in planning for identical hampers to be delivered on the same day at some 70 different UK addresses was a prospect that gave us some apprehension. I am pleased to say that the whole process from the first conversation to the last delivery ran like clockwork, and left us in no doubt that we had appointed the best in the business on organising such matters. Getting this right for our people was an important issue for us, so we owe a massive thank you to Waitrose and all individuals involved. No prizes for guessing who we will be using again this year! Professional, helpful and very accommodating with our last minute delivery requests – always a pleasure dealing with Waitrose. We used Waitrose at the beginning of this year to supply approximately 400 bottles of Champagne, to 4 different locations around North London and north Kent. They could not have been more helpful, we got the champagne at a great price and the distribution was exactly as asked for, on time and well packaged. We will definitely use them again in the future. The service from Waitrose has been great. Meena is a gem! Responsive, competent, reliable and always really helpful. I had a large order that I needed fulfilling quickly and they delivered 100%. There has been the odd ‘hitch’ which, when highlighted, they have been prompt in fixing/finding a solution. Recipients of the Waitrose gifts (flowers or champagne) have been delighted with the quality of the goods. Following a busy and successful year, we wanted to say thank you to our team members at Christmas and thought a food hamper was a nice way of doing that and not something we had done previously. Having researched a number of retailers, Waitrose offered the best quality, variety and presentation for the cost. Flexible delivery was an added bonus and the delivery driver was very helpful in bringing over 100 hampers to the 4th floor of a city centre office building. There were a small number delivered to employees' homes and they arrived at the time requested. The way the hampers were packed was really good – there was a surprise bottle of Prosecco hidden at the bottom which was unexpected as everyone unpacked it. We also liked the choice of items in the hamper. Overall a great gift for Christmas which was really appreciated by our team.